Are you ready for the easiest mason jar gift ever? 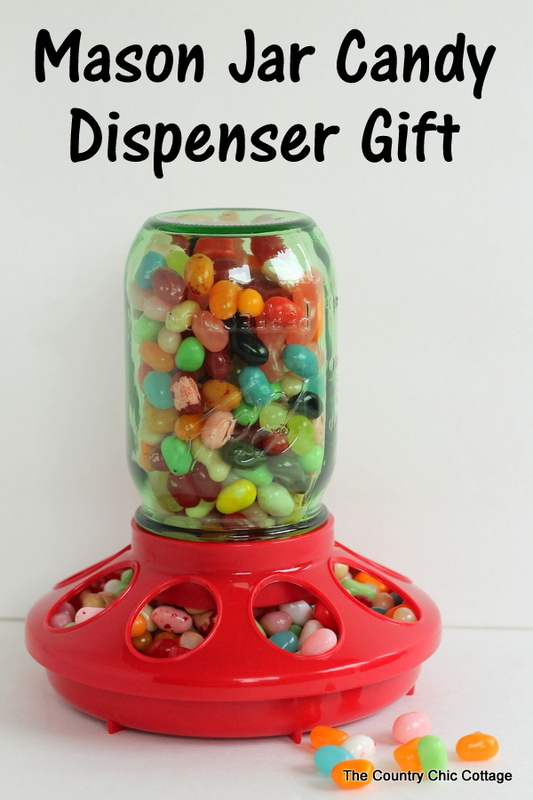 Well that is what I would call this mason jar candy dispenser gift. Grab two items from the store and you have a gift in seconds. Oh…grab the third item as well which is CANDY! 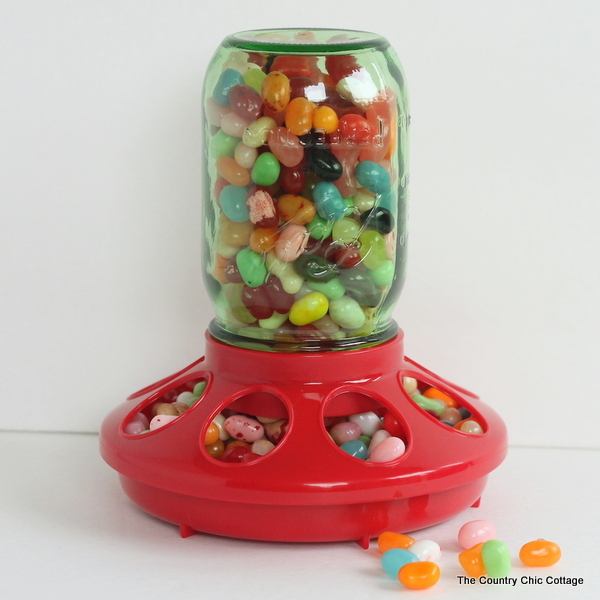 You can use jelly beans like pictured or any type of candy that your recipient loves. I said two items right? Yep! You need a regular mouth mason jar. I used these Ball Heritage Pint Jars Green for mine to stick with the red and green for Christmas. Then you need a chicken feeder. Chicken feeder?? YEP! You can get one from a farm store or order a Baby Chick Feeder, Red from Amazon. This plastic red version looks to be readily available. The jar screws right down onto the feeder. Yep that is my step. 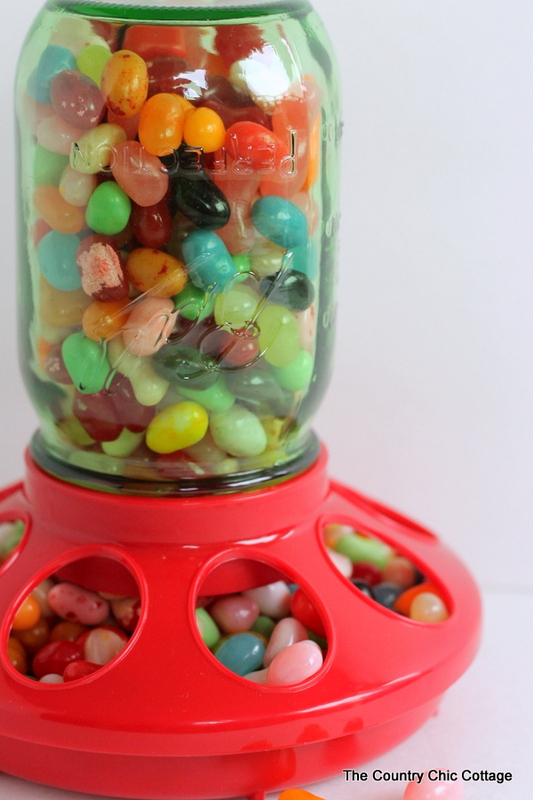 Fill jar with candy, invert, screw onto feeder. The end. See…easiest mason jar gift ever! To give as a gift, you might want to leave the candy in a bag and either package together or pop the candy bag and all into the jar. 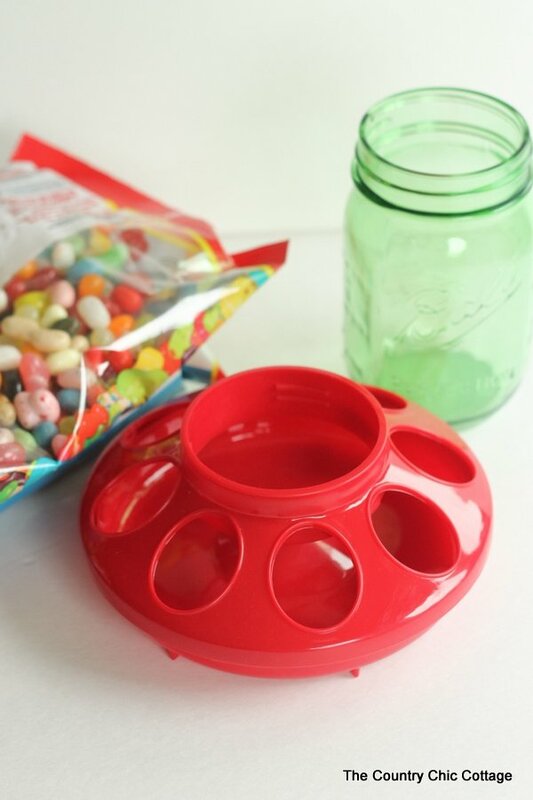 This mason jar candy dispenser gift is sure to be the hit of Christmas! Stay tuned as I am posting mason jar gifts all week and you don’t want to miss any of them. I am also having fun on Instagram all week with mason jar gifts. 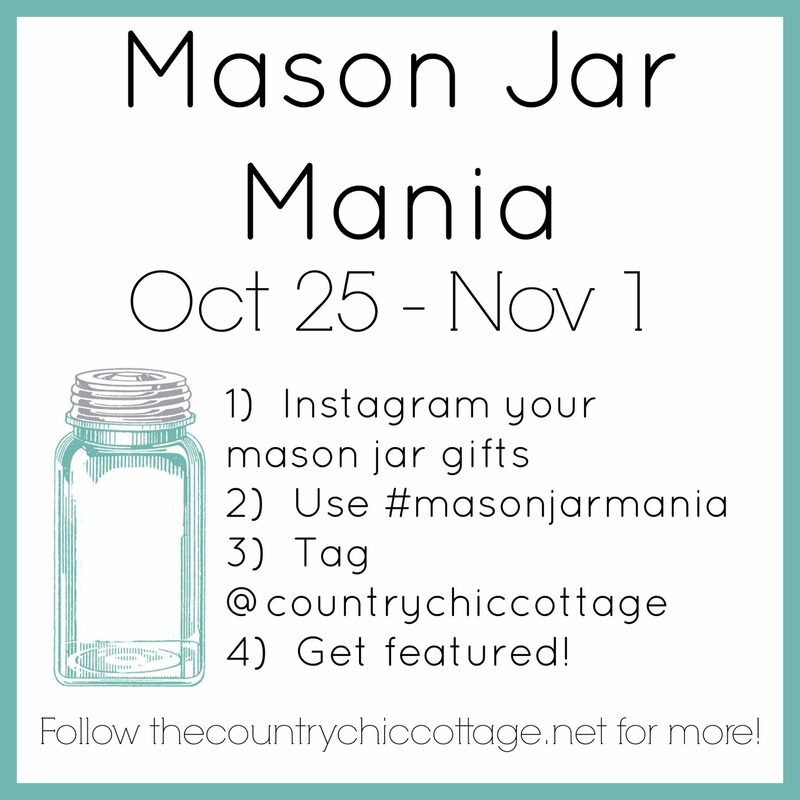 If you want to play along and possibly have your mason jar gift featured, be sure to click here and follow me on Instagram. previous post: Snowman Gift in a Jar plus a $400 GIVEAWAY!